Opening a recruitment agency in Italy has become an increasingly attractive option for both investors and business owners who are looking to capitalise on the various reforms made under the new Prime Minister, Matteo Renzi. With a reduction in red tape, labour reforms and a variety of tax incentives, Italy’s GDP is expected to rise 1.4% during 2017, fueling a growing labour market and employment opportunities throughout the country. One of the first decisions when setting up a recruitment company will be selecting the type and location of your business. There are opportunities to cater for both the SME market and larger corporations. The Northern regions are home to larger corporations and are considered the industrial engine of the economy; popular with food, textiles, machinery, iron and fashion. The Southern Region is primarily based on smaller businesses and noted throughout the world for its tourism sector. 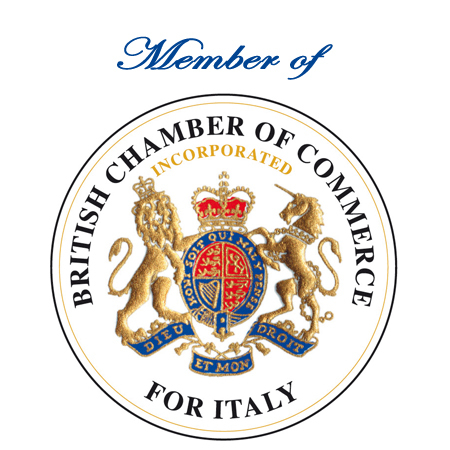 The process can often be complex and our team of experts are available to help select the best business structure and to assist in the formation of your Italian recruitment agency. An intermediation agency provides a mediation service between the supply and demand of labour. Services typically consist of a database with CVs, pre selection and training on behalf of the client. This type of agency only assists with the first part of the selection. They complete a thorough analysis of business requirements; identifying the best candidates for the role before conducting the training of the successful candidates. The agency hires people who are employed via a third party, similar to a leasing agency. An agency that provides support for the repositioning of dismissed employees. Often the agency will work in partnership with large organisation’s and trade unions in order to find new and specific employment opportunities. Supplies recruitment services but only for a specific region. You must set-up an Italian company, Srl (limited liability company/subsidiary) or Spa. You must register an address in Italy (please contact one of our experts to assist with registering a business address). Directors, shareholders or legal representative should be free of any pending charges. The company should have suitable offices from where to conduct business. The company should employ staff who have a bachelor’s degree in HR and the necessary experience. While these are a number of the general requirements that must be met in order to open a recruitment agency, they can vary from one city to another depending on the local Chamber of Commerce. The first licence is given temporarily for two years and depending on the type of agency, should be renewed every year thereafter. During the renewal the company may be asked to demonstrate that it reached a certain turnover, to provide a bank guarantee, the company’s balance sheet and that all taxes and contributions have been paid regularly. According to Italian Law there are a number of requirements that need to be fulfilled in order to set up an Italian intermediation agency. It is necessary to set up a Limited company (no partnership or branch is allowed), however it can be an Srl or a subsidiary. The headquarters must be located in Italy (please speak to our team who can assist with registering a business address). The offices must be suitable for the activity of intermediation. They need to be accessible by customers and virtual offices are not accepted (we can provide an initial registered address for the purpose of setting up the company, once completed this can be changed if needed). The Chairman must have an HR Degree. You must have a minimum share capital of at least €50,000 and fully paid up. Business activity must be available to at least 4 Italian Regions. The lincense for the opening of the intermediation agency will need to be requested via the Welfare Ministry and our accountant will complete this on your behalf as soon as the company is set up. The preparation of the documents will typically take two weeks and a reply will be received within a maximum of sixty days after submitting the documents to Welfare Ministry.